belonging to him only so long as he bleeds. 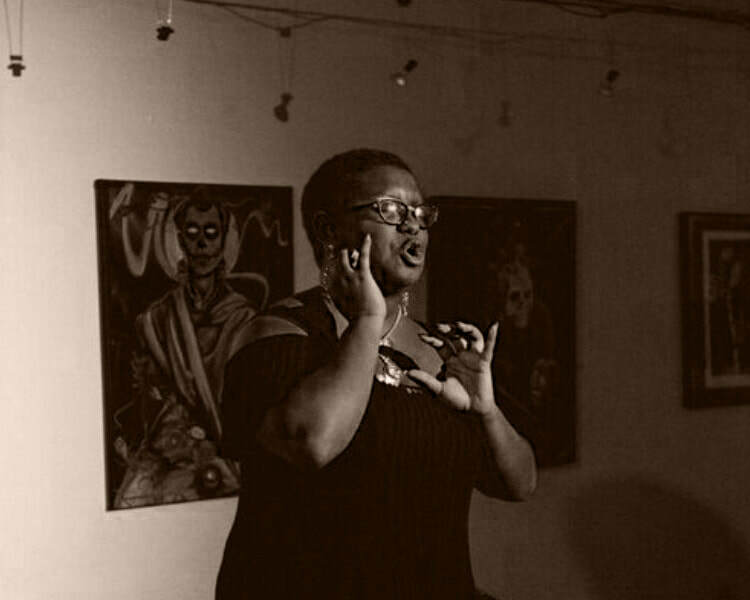 Khalypso is a Sacramento-based activist, actor, and poet. They are fat, black, neurodivergent, queer, and badass. Their work can be found in Calamus Journal, Drunk in a Midnight Choir, Rigorous Journal, Wusgood Magazine, and Shade Journal, as well as a few others. Their collection, THE HOTTENTOT LIGHTS THE GAS HERSELF, was a runner-up for the Two Sylvias Chapbook Contest. They are a Leo-Virgo cusp, they want to be your friend, and you can find them on Twitter @KhalypsoThePoet.